Habitat: Roadsides, fields, pastures, old garden spots. Plant Notes: This is the common garden Okra often grown and consumed. Occasionally, it may occur as a waif on the roadside or pastures. 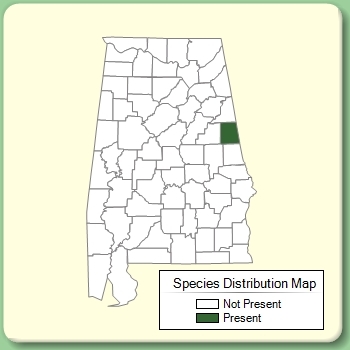 Persisting populations have not been observed in Alabama. Citation ABELMOSCHUS ESCULENTUS (Linnaeus) Moench, Methodus 617. 1794. Basionym: Hibiscus esculentus Linnaeus 1753. Type: Without data (lectotype: LINN 875.31). Lectotypified by Borssum Waalkes, Blumea 14: 100. 1966. Hibiscus esculentus Hibiscus esculentus Linnaeus, Sp. Pl. 696. 1753. 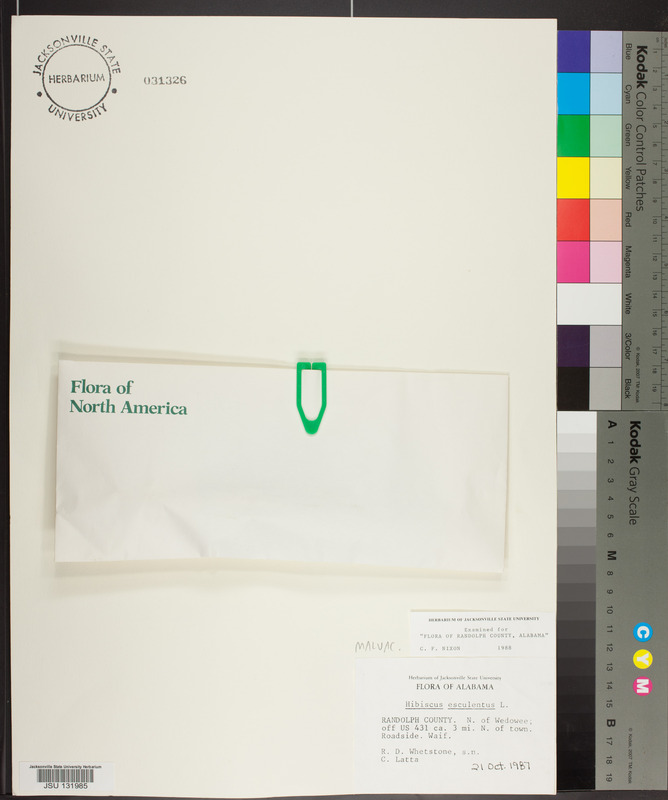 TYPE: Without data (lectotype: LINN 875.31). Lectotypified by Borssum Waalkes, Blumea 14: 100. 1966.